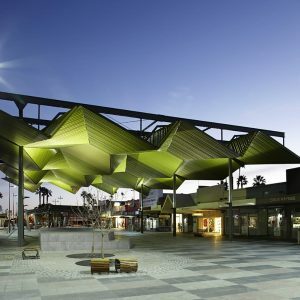 Mildura is one of Victoria’s fastest growing municipalities and also one of the most isolated, making it a ‘sponge city’ and main service area for a vast part of Victoria’s regional community, representing a particularly socially complex landscape. 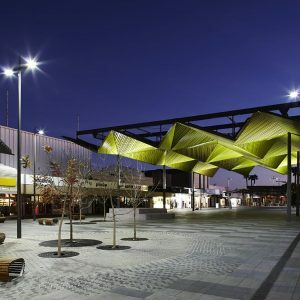 The redevelopment of Langtree Mall was initiated by Mildura City Council as a way of revitalising the city’s central shopping mall, which had become tired and run down. 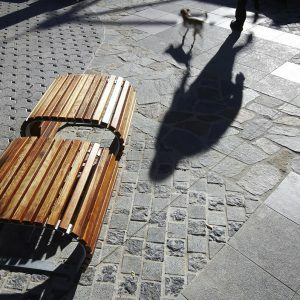 At the time, the mall provided little opportunity for community engagement and the poor through-and-through visibility posed a safety risk for users. 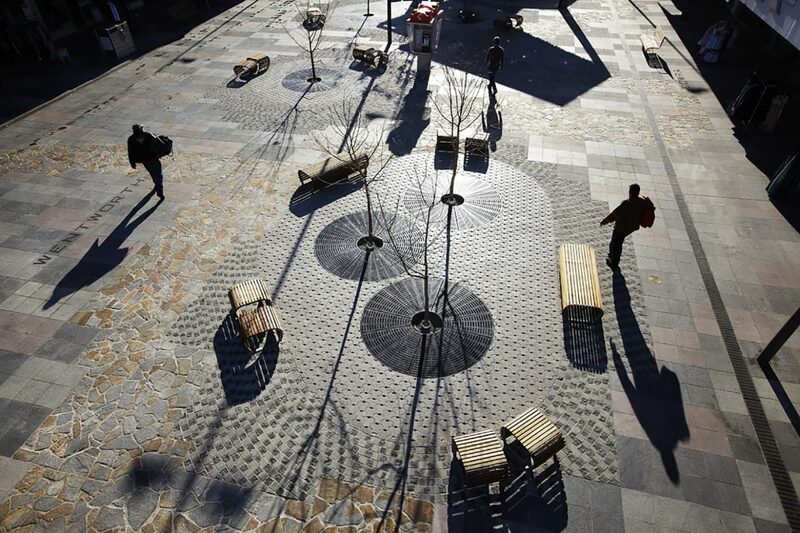 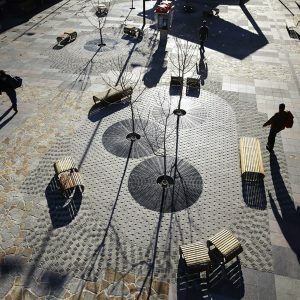 The goal of the project was to create an attractive and inviting open air plaza which included cultural, meeting and active opportunities for residents and visitors to enjoy. 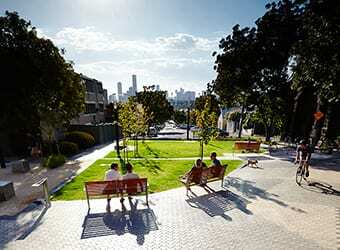 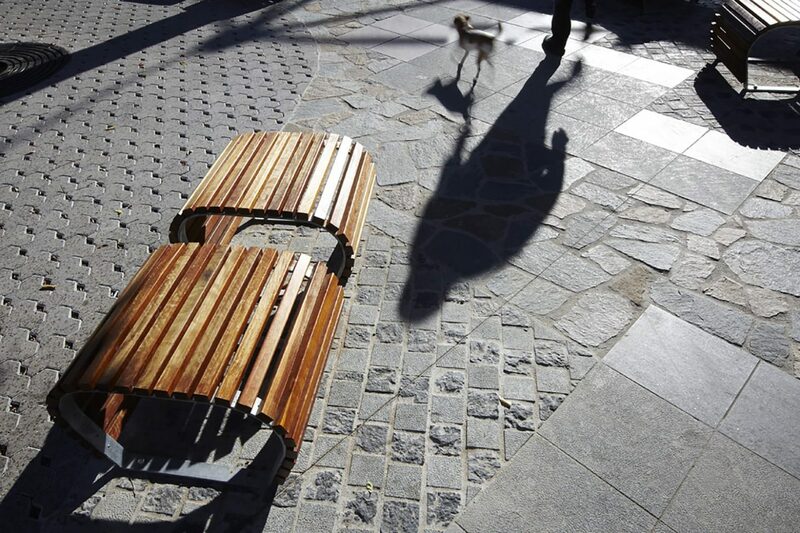 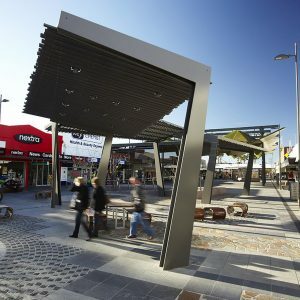 The design required a unique site specific response as it was anticipated that the newly designed plaza would serve as Mildura’s natural city centre, creating a new public space that would bolster a better quality of civic life for the community and surrounding region. 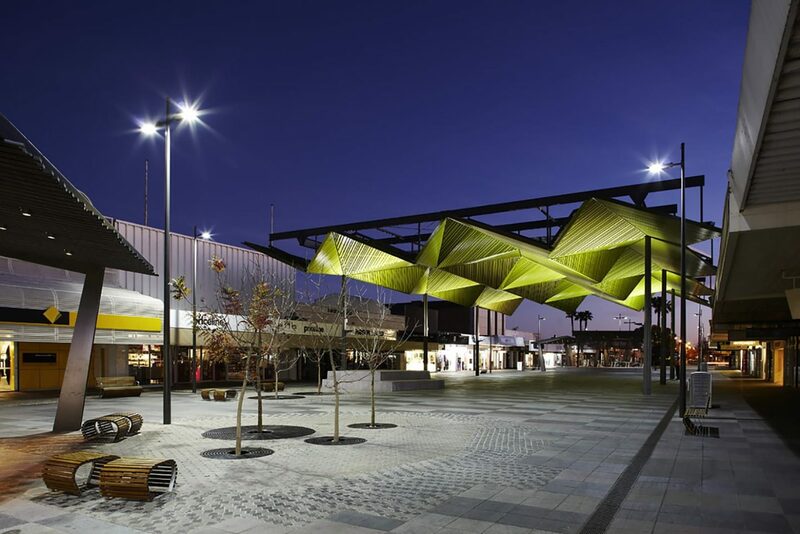 Hansen Partnership was engaged by Mildura Rural City Council in early 2008 to undertake design and documentation for the redevelopment. 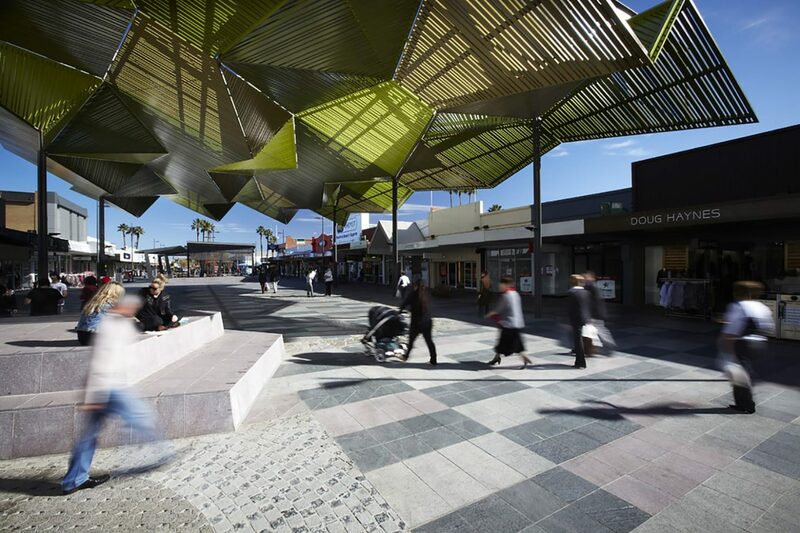 The council’s key objectives for the redesign were to open up the mall, clear out the existing clutter, and incorporate a range of sustainable design initiatives including water harvesting and the use of recycled materials. 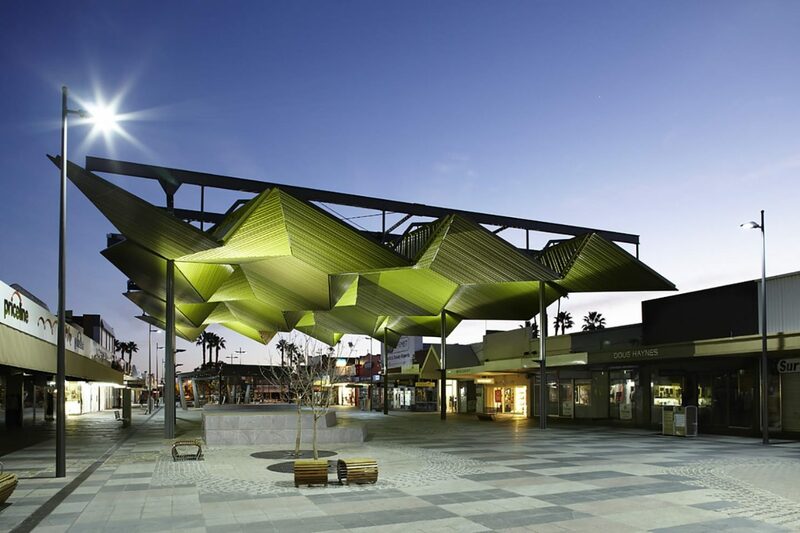 Our design was inspired by the Mildura region and in particular, site visits by plane. 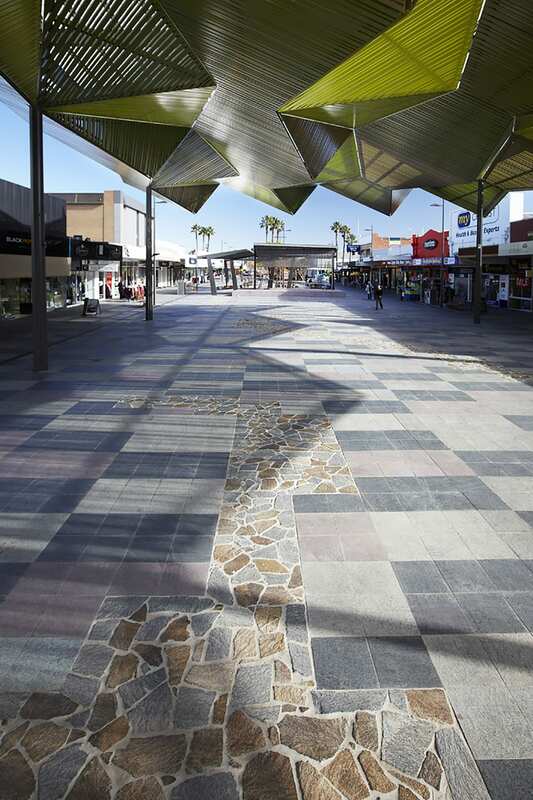 This translated to an aerial view of the Murray River being inscribed onto the pavement, winding its way through the length of the mall, picking up on key settlements and features along its corridor. 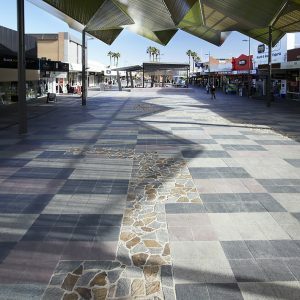 The pavement pattern is also an interpretation of an aerial view of Mildura and its agricultural patchwork, with the colours highlighting the earthy tones of the natural environment. 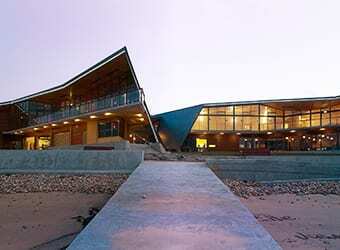 Just as people and townships are attracted to the river, elements such as shelters and furniture hug the edge of the river alignment through the mall. 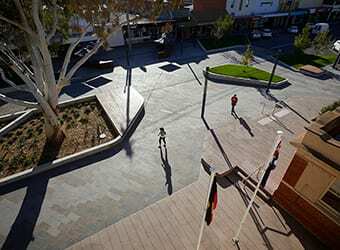 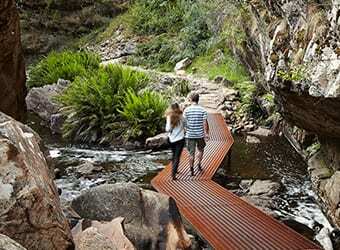 These create a series of gathering areas, where clusters of trees within large permeable pits provide shade and water harvesting opportunities, reminiscent of the billabongs along the meandering course of the Murray River. 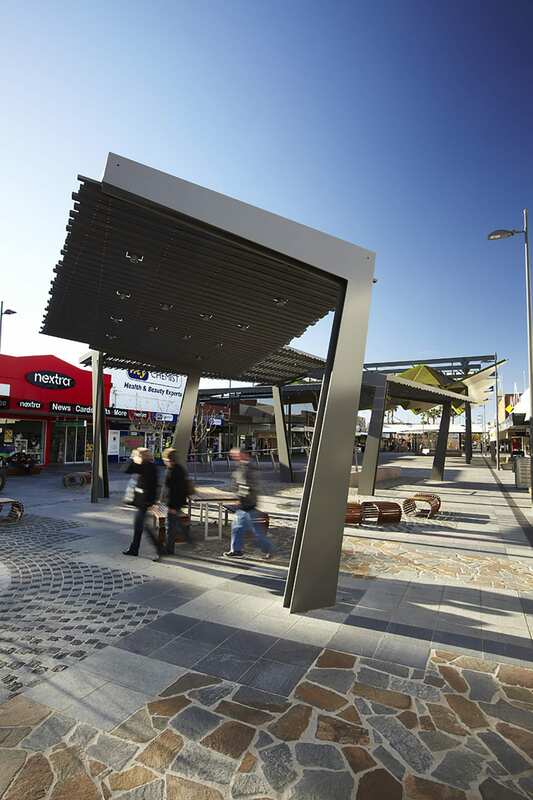 Shade is further provided in the form of a large central pavilion, an architectural feature which provides an open events space adjacent to the new stage. By incorporating a range of multi-use spaces scattered along the spine of the Murray River art work, Hansen has breathed new life into one of Mildura’s key public spaces.